This year is the 25th anniversary year of the signing of the Americans with Disabilities Act. On this Thinking Out Loud, Darren Hellwege visits with Chuck Graham of the Great Plains ADA Center about the history of the Act and the current status of disability rights in the US and Missouri. They also discuss the ADA Legacy Project, which is in Mid-Missouri this week as part of a nationwide tour. 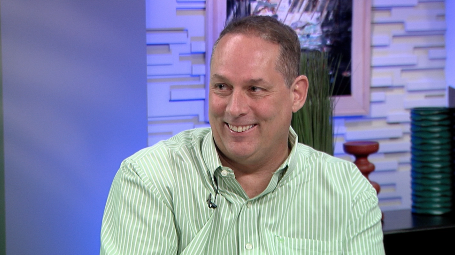 On this week's Thinking Out Loud, Darren Hellwege visits with Chuck Graham of the Great Plains ADA Center about the history of the Act and the current status of disability rights in the US and Missouri. They also discuss the ADA Legacy Project, which is in Mid-Missouri this week as part of a nationwide tour. 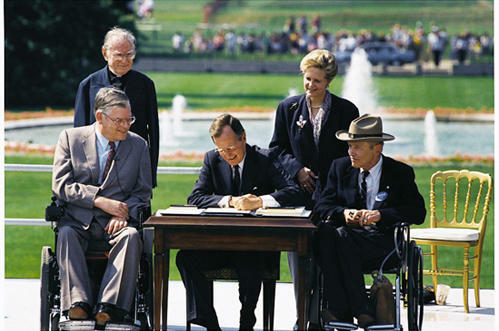 President George H. W. Bush signs the Americans with Disabilities Act of 1990 into law. Pictured (left to right): Evan Kemp, Rev Harold Wilke, Pres. Bush, Sandra Parrino, Justin Dart. President Bush signs the Americans with Disabilities Act on the White House South Lawn on July 26, 1990. The act prohibited employer discrimination on the basis of disability.